Dutch voters now demanding referendum on TTIP | James Crisp. Freelance journalist in Brussels. 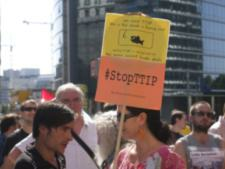 Some 100,000 Dutch citizens have already signed a petition demanding a referendum on TTIP. 300,000 names are needed to trigger a non-binding vote on the issue, as was the case with the Ukraine plebiscite. The Socialist Party (Socialistische Partij) is pushing for the referendum. Founded in 1977 as the ‘Communist Party of the Netherlands/Marxist–Leninist’, it won 15 out of 150 seats (10%) in the Dutch Parliament elections in 2012, equivalent to just under 910,000 individual votes. Spokesman Jasper Van Dijk told EurActiv that the EU-Ukraine referendum had given the campaign, which has lasted a matter of months, added impetus. NGOs against TTIP were part of the drive, he said, which had excited popular imagination. As soon as TTIP was finalised, everyone who signed the petition would be sent an email making it easy for them to begin the process leading to the national vote on the deal. “We want this to happen. We are in favour of a referendum on TTIP,” he said. EU and US negotiators are racing to finalise the controversial TTIP before US President Barack Obama steps down in January 2017. Potential successors such as Republican frontrunner Donald Trump and Democrat Bernie Sanders have serious reservations about Free Trade Agreements such as TTIP. But even if a deal is struck after four years of tough talks, the treaty must be ratified by the European Parliament, and each of the parliaments of the 28 member states of the EU, to finally come into force. Yet at that point a Dutch referendum, even if like the one on Ukraine it is ‘consultative’ and non-binding, could heap huge pressure on Dutch MPs to ultimately quash the pact. ‘Remain’ campaigners in the upcoming 23 June UK referendum on membership of the EU have cited the economic benefits of TTIP, and the UK’s inability to negotiate similar deals alone as reasons for Britain staying in the EU. Two-thirds of voters in the Dutch plebiscite rejected closer ties between the EU and Ukraine on 6 April in a poll seen as a test of the Netherlands’ commitment to the bloc, but also as a bellwether for the Brexit vote. At the time, European Commission spokesman Margaritis Schinas described Commission President Jean-Claude Juncker – who had warned of the ‘major consequences’ of a rebuff – as “sad” about the result. 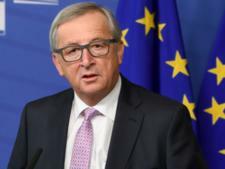 European Commission chief Jean-Claude Juncker urged Dutch voters today (9 January) not to oppose the EU association agreement with Ukraine, saying such a move “could open the doors to a continental crisis”. TTIP is a priority for the Commission, handling talks with the US on behalf of EU governments, and British Prime Minister David Cameron, who vowed in 2014 to put “rocket boosters” behind the pact. The threat of Dutch voters, who in 2005 overwhelmingly rejected the ratification of a European Constitution, killing off TTIP after the Brexit poll is likely to be seized on by the ‘Leave’ campaign. But the US has said it has no interest in an UK-alone trade deal. Greeks in July 2015 voted ‘No’ to a bailout package, in what was interpreted as another slap in the face of an EU, hit by the rise of Eurosceptic parties in the 2014 European Parliament elections. In the 2005 vote on the European Constitution, the Dutch parliament vowed to abide by a decisive result if turnout topped 30%. 61.6% of voters in a 63.3% turnout rejected the Constitution. Since then a new law has been introduced allowing a non-binding referendum to be triggered on any subject in the Netherlands after 300,000 signatures have been gathered. No TTIP vote can be officially demanded before the EU-US deal is finalised. But 100,000 people have already signed a petition demanding the TTIP referendum. 450,000 demanded the vote on the more obscure EU-Ukraine deal, the first ever ‘people’s referendum’. Such a poll can be ignored if turnout is less than 30%. There was a 32.2% turnout in the EU-Ukraine vote, with 61% of those voting against. TTIP, dogged by accusations of secrecy, and suspicions that it would drive down environmental standards, force Europeans to eat chlorine-washed chicken, and leave governments open to lawsuits from foreign multinational companies, would bring a higher turnout than the last poll, campaigners said. If the conditions were right, moves could be made to scupper the ratification of the EU-Canada deal CETA, which is increasingly seen as a test case for TTIP. The European Commission has estimated that an ‘ambitious’ TTIP deal would increase the size of the EU economy by around €120 billion (or 0.5% of GDP) and the US by €95 billion (or 0.4% of GDP). But the TTIP talks have been beset with controversy, on both sides of the Atlantic but especially in the EU. The Commission has launched transparency initiatives and communications offensives to try and calm fears, but opposition is vocal across the EU, including the UK, France and Germany. In particular, the investor-state-dispute mechanism (ISDS) which allows corporations to sue governments in international tribunals, has become a cause celebre in the EU, and among MEPs who will vote on the pact. About 150,000 people have responded to the European Commission’s online consultation on the controversial investor-state dispute settlement (ISDS) clause in the Transatlantic Trade and Investment Partnership (TTIP). Such was the furore that the European Commission was compelled to propose a public court to handle such investor cases. The proposal has not yet been accepted by the US, which has reservations about the idea, but discussions are continuing. They are unlikely to be resolved until the endgame of talks. This entry was posted on April 15, 2016 by jamescrisp2014 in Best scoops, Journalism, Trade, TTIP and tagged Brexit, Netherlands, referendums, TTIP.